CRANSTON, R.I. — The work needed to make the interconnections to the power grid for two industrial-scale solar projects would clear the forest canopy that connects two conservation areas, according to the Rhode Island Land Trust Council. The statewide coalition has asked the State Properties Committee to reject the proposed easement agreements between the Rhode Island Department of Environmental Management (DEM) and National Grid for a new utility corridor along Laten Knight Road, noting that the road runs between protected lands for which the state holds property interests. Laten Knight Road is bordered by the John L. Curran Management Area, a DEM-owned property that is protected as open space, and Knight Farm, a property owned by the city and protected by a conservation easement held by DEM. Both properties are managed by specific development protections. This new power-line corridor is needed to connect two utility-scale solar-energy facilities that have been built in western Cranston to the regional power grid. Friday said the work needed to make the interconnections would clear the forest canopy that connects the two protected properties. Item G on the July 17 meeting agenda for the State Properties Committee is a request for the approval and execution of two easement agreements between DEM and National Grid that are necessary for the installation of six leads with anchors to support new electric poles on land abutting the John L. Curran Management Area. This specific agenda item has since been postponed at DEM’s request. In a July 16 letter to Marco Schiappa, chair of the State Properties Committee, Friday wrote that Rhode Island should require National Grid to request approval for all utility easements and encroachments on the state’s protected open space in one comprehensive application so the cumulative impacts can be evaluated. “These utility easements will result in development of utility infrastructure and tree clearing that will violate state law and the provisions of the state’s conservation easement,” Friday wrote. “This significant damage to state interests in these protected open space properties should be rejected. He told ecoRI News that a growing trend nationwide is seeing developers and utilities target protected land when new utility corridors and pipelines are needed. 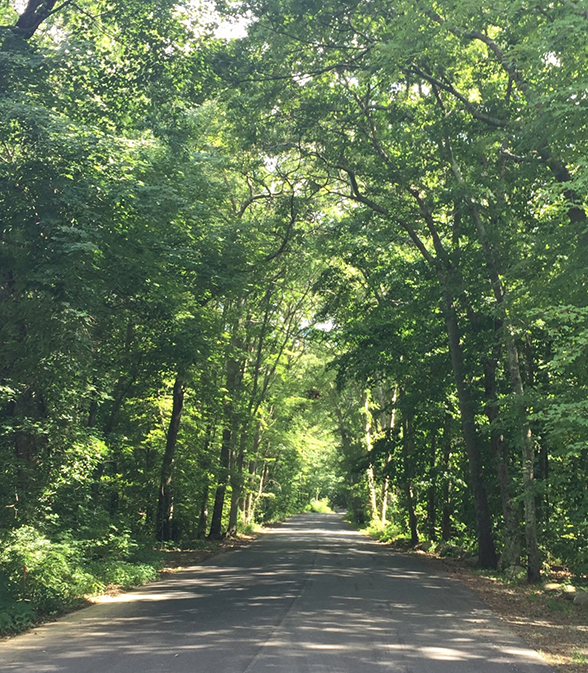 The West Bay Land Trust appealed the decision to remove city street trees on Hope Road, Lippitt Avenue, and Laten Knight Road, after National Grid last month began marking 243 trees for removal for the interconnection of the already-built Lippitt Avenue and Hope Road solar projects. The July 12 appeal was denied the next day.